Focusrite's compact and flexible 2-in, 4-out USB audio interface makes it easy to perform and record studio quality audio against a cue mix. Take it anywhere, connect by USB and get two natural-sounding Scarlett mic preamps, super-low latency*, MIDI I/O, four analogue outputs and the same class-leading sound quality and digital conversion as the rest of the latest Scarlett range. 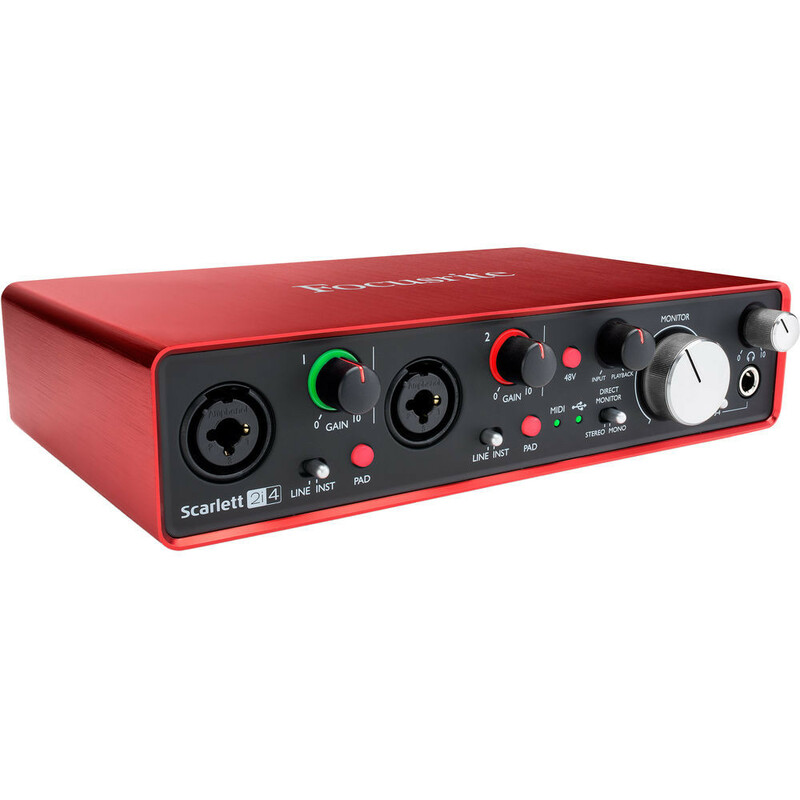 Focusrite interfaces are perfect partners for Pro Tools, so Scarlett 2i4 comes with Pro Tools | First - Focusrite Creative Pack in the box, as well as Ableton Live Lite recording software and a suite of software and samples, so you can start recording straight away. As you’d expect, it works flawlessly with all major DAWs on Mac and PC. 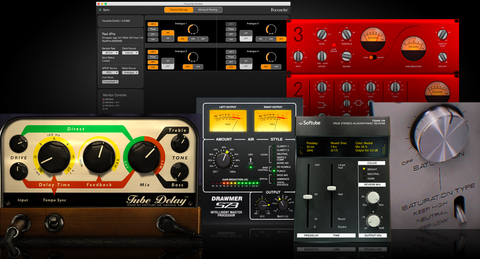 Four analogue outputs, MIDI I/O and cue mixing make Scarlett 2i4 ideal for live performances. It also gives you a loud headphone output, two balanced outputs and four RCA outputs for connecting to your speakers or mixer. Don’t let interface latency ruin your performance. Scarlett 2i4’s new super-low latency lets you enhance your recording or performance in ways that are simply impossible with any other interface in this class, like enabling real-time guitar amp simulation and vocal reverb (subject to your software, settings and computer).